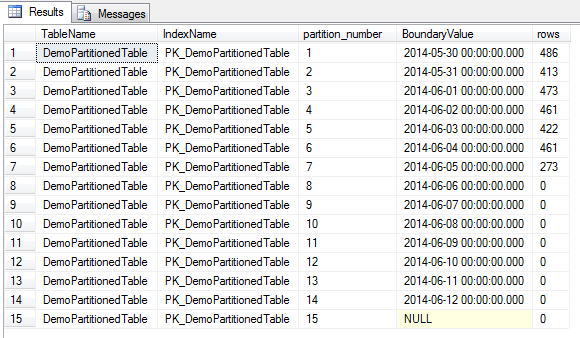 So if the archive table was on the partition scheme it would be “Aligned”. This means that moving data in and out would be more efficient. The only reason I haven’t done this here is because this is a basic demo. 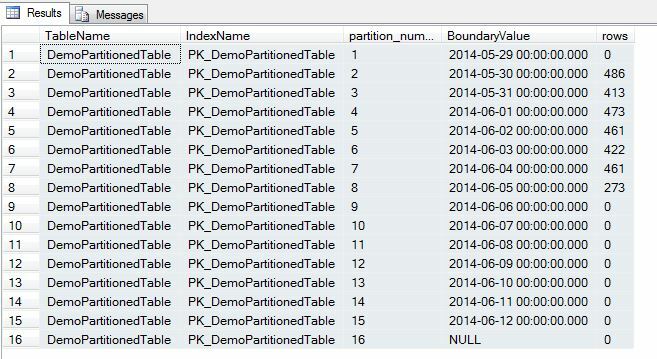 The partition has had its data switched out to the archive table and then was merged into the above partition. 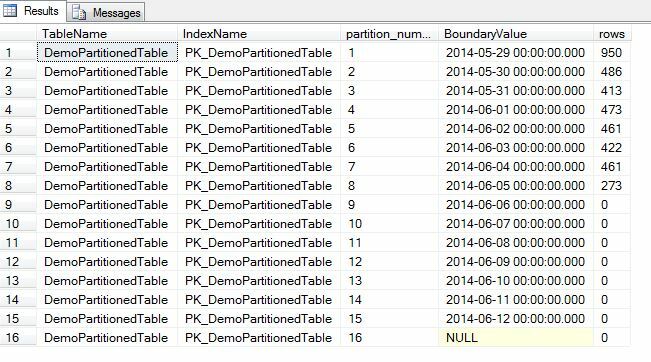 Using the scripts in these three post will allow you to effectively manage partitioning in SQL Server. I hope this series of posts has been helpful as an introduction into partitioning. Please let me know if you have any comments or questions.